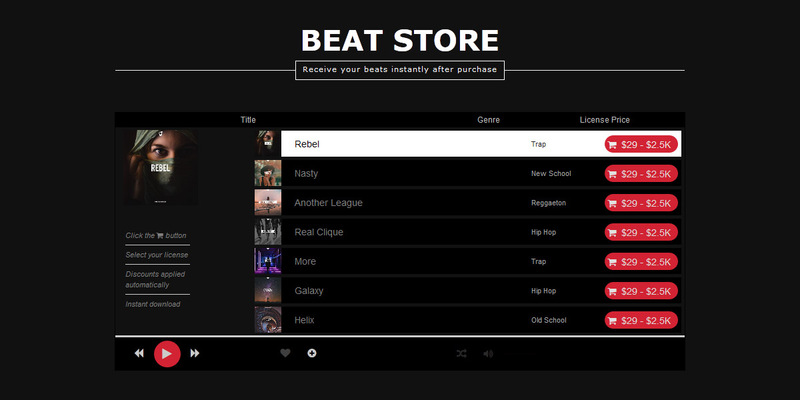 Download your Soundclick “Instant Delivery Beat Store” design right after purchase. Available in 4 Colors. Setup Instructions included. 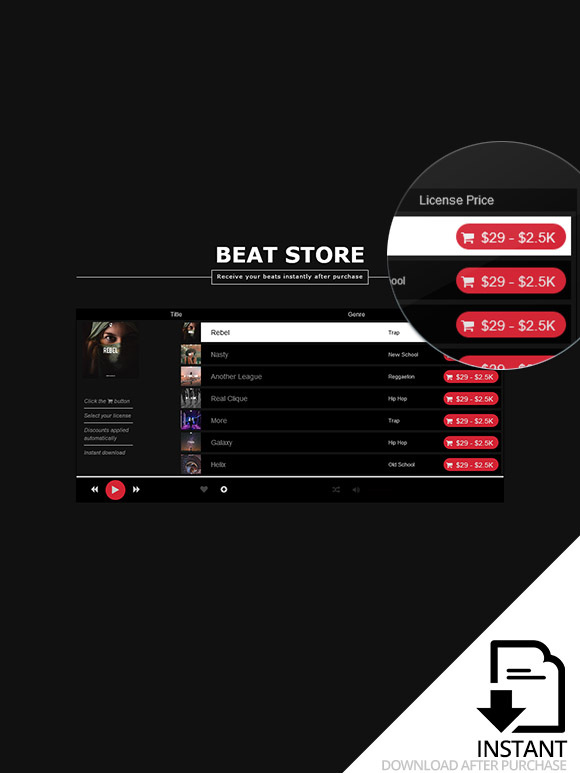 Use this Design to optimize the look of your Beat Store. This Design comes with a dark theme and 4 different Colors ( Red, Blue, Purple, Green ). The Playlist is bigger and the License Button more noticeable.